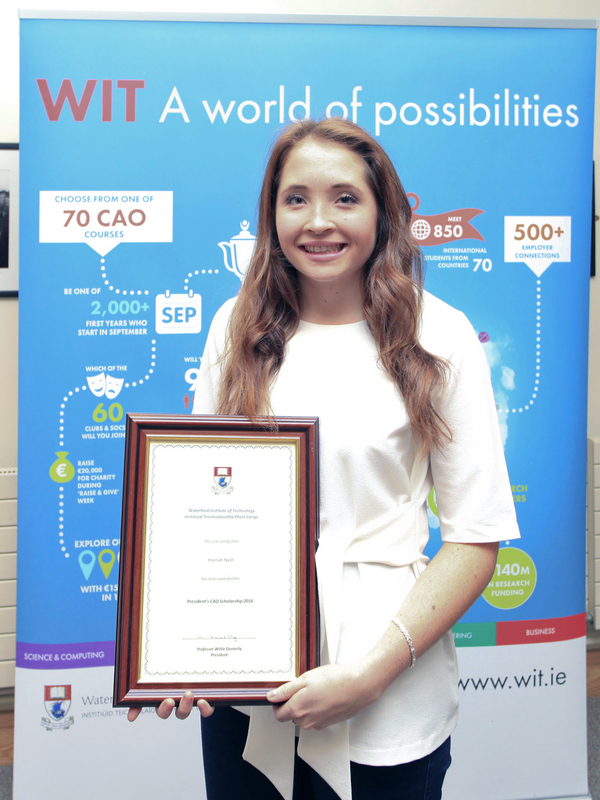 BA (Hons) Exercise and Health Studies student Hannah Nash was awarded a President’s Scholarship before starting at WIT for her entrepreneurial creativity and potential to make the world a greater place to live. Hannah came to the attention of WIT when she applied for the President’s Scholarship. As Head Girl at her secondary school in Dublin, Hannah was familiar with responsibility and has a vision to start her own business. At her blog, Happy Healthy Han, she revealed her plan to start her own healthy snack business was founded when she attended a rugby match with her dad, and was unhappy with the unhealthy choices that were available at events like these. The initiative proved difficult to get off the ground, but with the help of her President Scholarship bursary, she was able to give it a kick start. Looking to the future, Hannah hopes to take what she learns at WIT and utilise it in promoting physical activity and health, particularly in children.